It’s what we think about this and every Halloween. But the most fun, for me, of the night is not getting scared out of my wits (I don’t actually enjoy that), but to think about that fine line line between our ordinary world and the Other–the world of Spirits. What everyone agrees upon, however—and not just in our Western culture, but in many from the East as well—is that this is the time of year when the fine line that separates the two worlds is at its thinnest. This is when those who exist on one side of the line have the chance to cross over to the other. In the Gaelic tradition (from which our traditional Halloween comes from) on All Hallow’s Eve those which live in the spirit world can pass over into our own. 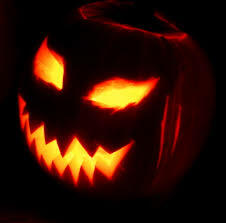 People would either put out all sorts of things to scare these spirits back into their own world—be it scary-looking carved vegetables (pumpkins) or people dressed as scary creatures themselves. Some people spend their time praying to positive spirits to protect them from the nasties. Either way, the night leaves the doors open for negatives to come find us. I like to ward them off with candy. But even the Hindu tradition knows that it is at this time of year that the veil is thin. This is where the celebration of Diwali comes in. People put out lights to protect themselves and their homes from negative elements which, at this time of year, can invade our world. 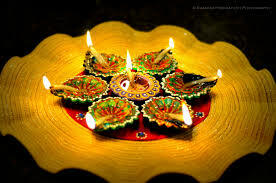 In the Indian-Bengali tradition people put a candle at every entrance to their home to keep the negative spirits out. In other parts of India, people light bonfires and set off fireworks to scare away the negative elements. Other traditions around the world include leaving food out for the spirits who come to visit on this night – to encourage them to come and leave their good will and wisdom with us. Others light candles in memory of those who reside on the other side of the veil or, in China and Japan, to light the path of the spirits so that they may find their way home again. Whatever your Halloween tradition is—be it welcoming or warding off of spirits—I hope it’s a good one! Release Day! My Dark Highlander is here!